Taxes Anyone? How Long Will it Take for the IRS to Recover from the Shutdown? The 2019 winter government shutdown was another blow to the beleaguered agency that collects your taxes and checks to see whether your FBAR is all that it should be. We have talked about the continuing decline of a once powerful federal agency. Continued defunding has strapped the agency for financial and human resources in its mandate to enforce tax legislation and collect taxes that keep the government running. 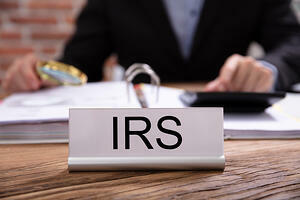 A recent article in The Washington Post reported the shutdown would continue to impact IRS operations for the next year. An inability to meet the service needs of taxpayers, through telephone service or follow up to questions. Although a call to the IRS is pretty much any consumer’s nightmare, we still make about 100 million calls to the agency each year. The IRS notes it can field only between four to six out of every ten calls to the agency each year. Outmoded technology and IT support continue to plague the agency. In 2018, the IRS website crashed on April 15, Tax Day, just as millions of taxpayers were trying to file their returns electronically. While a poorly funded tax agency may lead to fewer IRS criminal investigations, it is also a sign of an institution and a government that may get things wrong during an IRS audit or other tax controversy. If contacted by the IRS, be sure to speak with an experienced tax attorney before you return the call. At Robert J. Fedor, Esq., LLC, we deliver experienced legal representation if you are questioned about a tax crime or your foreign holdings. With offices in Chicago and Cleveland, we serve local and international clients. Call 800-579-0997 or contact us today.